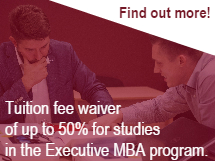 How to finance your BBA is a key decision point when applying to a BBA program. Here are some loan options RBS has identified and/or negotiated for residents of Latvia. 1. Study loan — funds to cover tuition fees at accredited higher education establishments and colleges in Latvia and abroad. 2. Student loan — funds to cover daily needs of students during studies (only for full-time students). Where else can I get a loan for studies? There are other student loans offered by other credit institutions in Latvia. To learn about these offers please contact them. RBS provides this information for the convenience of our students and applicants. For the most up-to date information, please, consult the respective financial institution. International students are encouraged to explore state-supported study loans in their home countries as well as student exchange agreements concluded between their countries and Latvia.